Marlin began competitive running during his college cross country years in 1971, when he discovered a love for running through meadows and forests. He has run continuously ever since. After years of road racing, Marlin began trail running about 14 years ago. 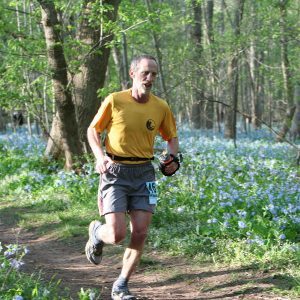 Until moving to Colorado to live near family in 2015 he ran with the Virginia Happy Trails Running Club, completing 60+ ultras ranging from 50k to 100 miles, along with pacing his friends and doing lots of volunteer work for VHTRC.